Measuring debt to GDP does not really work. 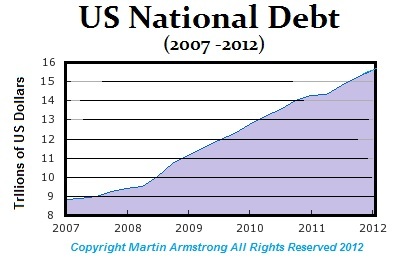 The US national debt stood at $1 trillion in 1980 and it exploded during the economic collapse following 2007. You cannot truly test that before 1900 authoritatively. The hyperinflation v inflation to me is distinguished such as Germany or Zimbabwe as the end game where the currency does not survive. If you are going to claim that 20-25% annual inflation is hyperinflation, sorry. That does NOT guarantee the collapse of a country or a currency. New Zealand saw that in the 1980s and the USA reached at least 20% in 1980. To me, hyperinflation is the point of no return. Those countries that have entered that phase have no bond markets, have been typically revolutionary, and emerge with a new currency. Between 1360 and 1641, the currency of France was the basic unit of 1 livre tournois. 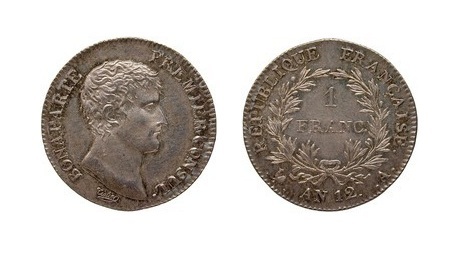 The French Revolution led to a hyperinflation that forced monetary reform re-introducing (in decimal form) the French franc in 1795 with the portrait of Napoleon. The French franc remained the national currency until the introduction of the euro in 1999. My definition of hyperinflation is one where the currency does NOT survive regardless of the rate of inflation be it 100% annually or 10,000%. The capital flows must take us to extremes on both sides in order to create the economic damage to cause change. This pendulum movement wipes out generally everyone on both sides. 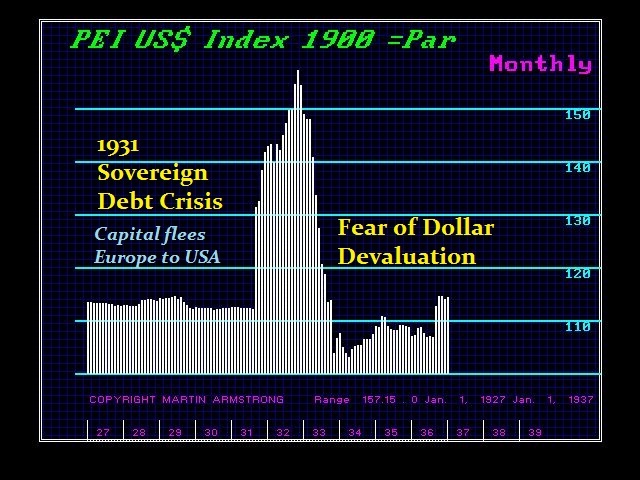 We can see as Europe moved into its crisis for 1931, the capital poured into the USA forcing the dollar higher. The rally in the Euro right now has been the typical false move before the storm that should not really unfold until after September. The capital inflows will send the dollar up wiping out the dollar loans exporting deflation to third world nations rolling in dollar debt, then the pendulum should swing in the opposite direction against the dollar. This type of violent price action is what is necessary to see major political-economic reform. Will inflation in the USA then reach the 20% level? Perhaps not officially. But the chaos of shifting capital from debt to equity (Public to Private) should begin to force interest rates higher and that will then fuel the debt. As confidence declines in government debt, then and only then do we get the political-economic reform. The hyperinflation scenario is government merely goes willy-nilly into the light printing money. We have a debt market. Government is restrained by that and cannot simply print into oblivion and yet still sell the debt. This is why government is hunting every dime they can find, raising taxes, and causing the economy to implode internationally. Part of hyperinflation is the increase in the velocity of money because people do not hold it spending it as fast as they can get it. Right now, our problem is the opposite. The velocity has declined as has liquidity is still down by 50% and people have not been investing as they were prior to 2007. The flood of laws hunting money globally has reduced investment dramatically and this has been highly deflationary shrinking the velocity of money as well as liquidity of markets. The only alternative for smart money is now to buy equities to get the cash out of the banks. It no longer pays to keep cash in a bank and the bank in Europe are in major trouble because their reserves are spread throughout the sovereign member bond issues. Cyprus lost because the banks held Greek sovereign debt. The EU is adopting Bail-In strategies because they do not want to PRINT money to cover losses – i.e. avoiding hyperinflation driving straight into the dark abyss of deflation and depression. The pension funds are moving toward insolvency because the Fed has kept rates artificially low. The banks have been making a fortune paying nothing for your money but have not been lending without 100% collateral and the spread is huge paying 0.5% for 3 year CDs while asking 4% for a secured 3 year car loan. NORMALLY, the low rates should have helped the economy. But they have helped only the bankers accounting for the slow recovery. If you cannot see why governments are turning in the opposite direction from hyperinflation and are actually destroying civilization by tearing apart the global economy reducing job growth, then I do not see what else I can say. Just sit and wait for what you prefer to think is happening rather than observe what is happening. The end-game is clear. There will be a international monetary reform because the postwar Marxist-Keynesian system is crumbing to dust. Hyperinflation unfolds in a country with no debt markets for they are typically revolutionary that disavow the former debts of the government they have overthrown wiping out capital formation. We have debt markets and the bankers will be advising and screaming: “Are you crazy! Raise taxes and hunt everyone down for if you do not pay us, you collapse!” We are in the midst of a sovereign debt crisis. This is serious stuff. Go too far and we end up in a Mad Max event. The current monetary system was NEVER designed. 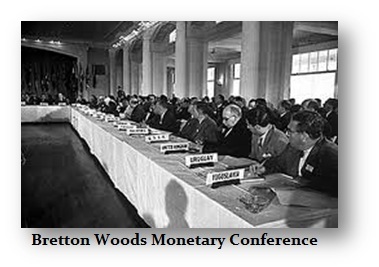 There was no Bretton Woods. This entire monetary system is a ad hoc patch-work that is far beyond anything normal. Everything will have to be restructured from the ground up. Money is electronic. They are now lobbying to Switzerland demanding they end the 1000sf notes and to stop the big notes in the Euro. They are trying to cut off all cash forcing money into the electronic world. Forget gold standards and tangible money. That is an ancient relic of the past that we will never see again. But cheer up. If money is electronic, we can also get our rights back and end taxation as well since that was needed only because money was tangible that government could not create out of thin air. The dollar will lose its reserve status because of (1) political reasons, and (2) this results in the exportation of domestic policy objectives to the rest of the world. Russia and China will exert pressure when the time is right to kill the dollar as the reserve currency. But we have to get there first and that is not by simply printing money mindlessly. There are major political restraints both from countries like China holding US debt and bankers. What we are seeing with the Fed informing the banks they will NOT be covered for losses in proprietary trading is a MAJOR step in severing the umbilical-cord between government and its primary dealers. In Europe, proprietary trading will be outlawed. The NEW CURRENCY will most like be an electronic reserve currency whereby each nation will still retain its own currency, but to conduct international transactions you will then convert to the reserve currency. This will be similar to a two-tier system that still isolates the domestic economy from infections internationally as the Swiss encountered with the flight from the euro. This will eliminate the dollar as the reserve currency and the new world currencies will be purely electronic. Why people insist hyperinflation MUST take place because that is what they want to see happen is beyond me. I am only interested in how history demonstrates these trends resolve themselves for the one thing that is certain, human reaction is always the same. Hammurabi in the 18th century BC imposed wage and price controls. Athens attempted that as well. Diocletian (284-305AD) tried wage and price controls with his edict in Rome. 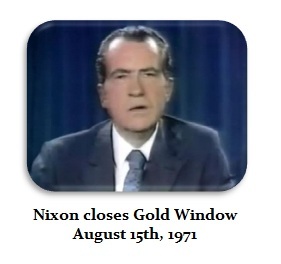 So did Richard Nixon in 1971. Present the same situation and you will illicit the same human response no matter who is in office or what century it takes place in. Obama criticized Bush for the NSA. Now he justifies the NSA 10 fold. The king is dead. Long live the new king. It is always the same thing.